HTC has launched two new smartphones in the Desire 10 series. These phones was last week hashtagged #BeEdgier. But wait, the edge there isn't for the screen display but to the new metallic contour. 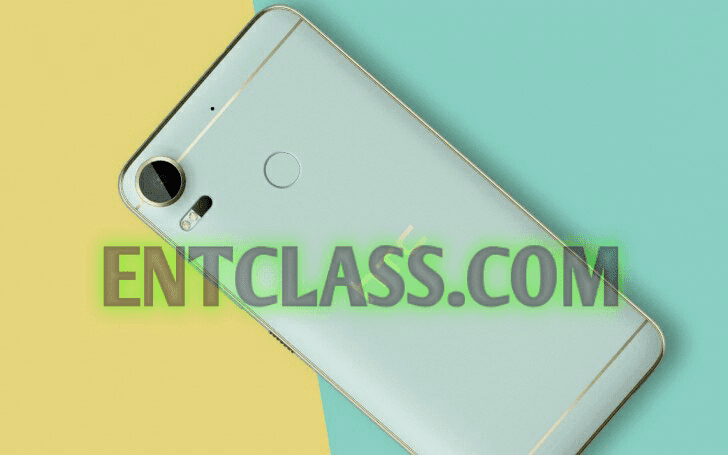 HTC Desire 10 Pro and HTC Desire 10 Lifestyle share some specifications but the Desire 10 Pro is an upgrade to the Desire 10 Lifestyle. The Desire 10 Pro is the one you'd want, as it packs the better hardware. It starts with a 5.5-inch FullHD IPS display, protected by an unspecified gen Gorilla Glass. This higher-specced model is powered by a Mediatek Helio P10 chipset and has 4GB of RAM and a roomy 64GB of storage, which is also expandable via microSD. A 20MP primary camera sits on the back of the Desire 10 Pro with a f/2.2 27.8mm-equivalent lens, laser autofocus and a dual-LED flash. Selfies are taken care of by a 13MP front cam with the same-specced lens, and a 150-degree selfie panorama mode for group shots. On the connectivity front, the Desire 10 Pro brings Cat. 6 LTE (up to 300Mbps down/50Mbps up) , dual-band 5GHz/2.4GHz Wi-Fi a/b/g/n (but no ac), Bluetooth v4.2, NFC and AGPS + GLONASS. Wired options include a 3.5mm headphone jack, and a microUSB 2.0 port (so no Type-C). A fingerprint sensor is placed on the Pro's back as well, and other than unlocking the device it is also able to control the camera. The Desire 10 Pro measures 156.5 x 76 x 7.9mm and weighs 165g. Inside it, there's a 3,000mAh battery to keep the lights on. The Desire 10 Lifestyle brings some notable hardware downgrades in a body that looks and feels virtually the same. For one, its 5.5-inch display has a 720p resolution for a pixel density of 267ppi. Perhaps least impressive about the Lifestyle is the SoC in charge - the aging and not particularly powerful Snapdragon 400, which even Qualcomm now lists as a wearables' chipset. Anyway, the Desire 10 Lifestyle will be available in two versions, one with 3GB of RAM and 32GB of built-in storage, the other with a 2GB/16GB configuration. Both offer a microSD slot for expansion, so fret not. What the Pro gets for a selfie camera, the Lifestyle uses for a primary shooter, at least judging by the numbers. It's a 13MP sensor behind an f/2.2 28mm-equiv. lens. The front-facer of the Desire 10 Lifestyle is a 5MP setup with an f/2.8 aperture and a 33.7mm-equiv focal length. LTE is Cat. 4 on the Desire 10 Lifestyle (150Mbps down, 50Mbps up), you get 2.4GHz Wi-Fi b/g/n, Bluetooth v4.1, NFC and AGPS + GLONASS. No port surprises here - microUSB 2.0 for charging and data transfer, and a 3.5mm headphone jack. The Lifestyle doesn't get a fingerprint sensor, though. At 156.9 x 76.9 x 7.7 mm, the Desire 10 Lifestyle measures mostly the same as the Pro, but weighs 10g less - 155g. You guessed it - it packs a smaller 2,700mAh battery. Both smartphones introduce a new interface concept, which is two-pronged. For starters, HTC does away with the onscreen buttons and puts the navigation in the bottom bezel. That frees the screen for all the customization you might want and you're no longer limited by the usual grid of icons - you can arrange apps, widgets, and stickers, overlap them, make layers - any way you fancy. All that is still called HTC Sense, on top of Android 6.0.1 Marshmallow. The Desire 10 Pro and Desire 10 Lifestyle will be available in a choice of colors, including Stone Black, Polar White, Royal Blue, and Valentina Flux. All paint jobs will nave the golden accents around the edges and the back. The Desire 10 Lifestyle will start rolling out in select markets today, with the Desire 10 Pro expected next month.